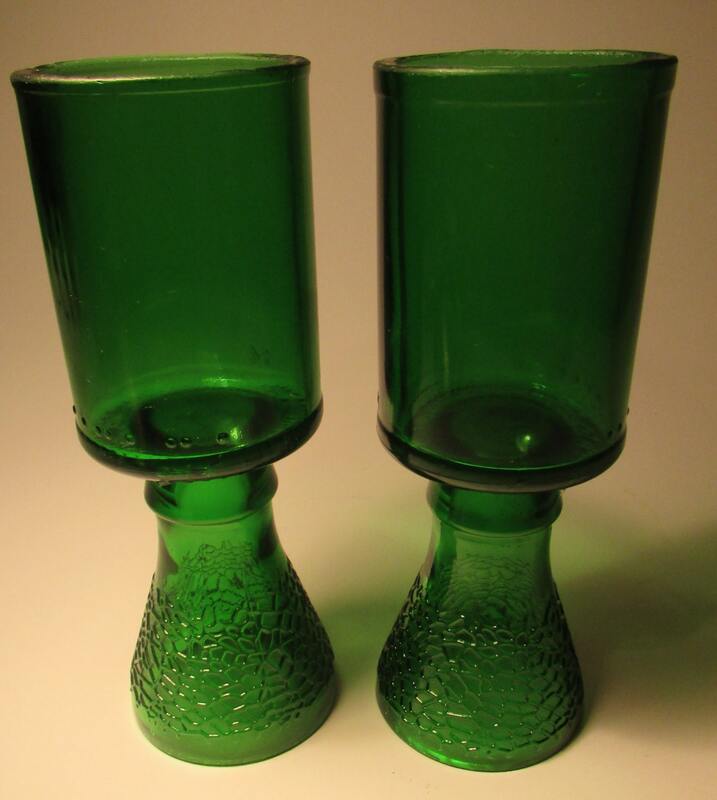 An intriguing pair of small goblets, each cut from a green glass bottle. 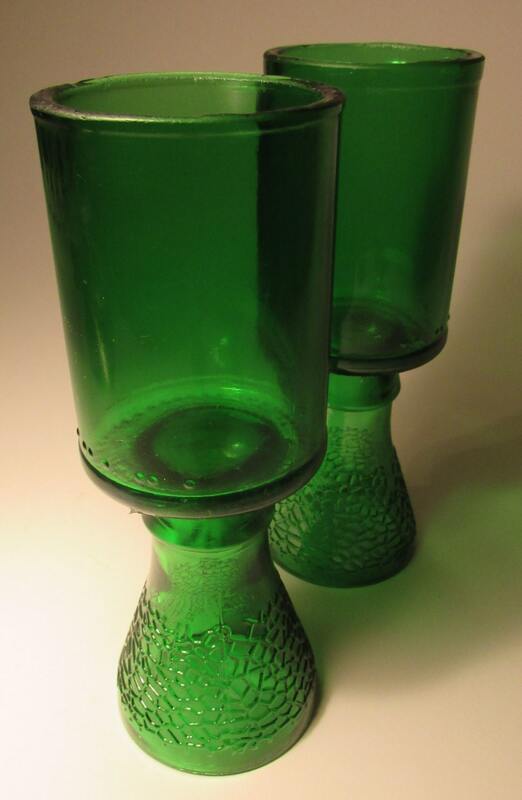 They stand 14 cm high and hold 80ml. 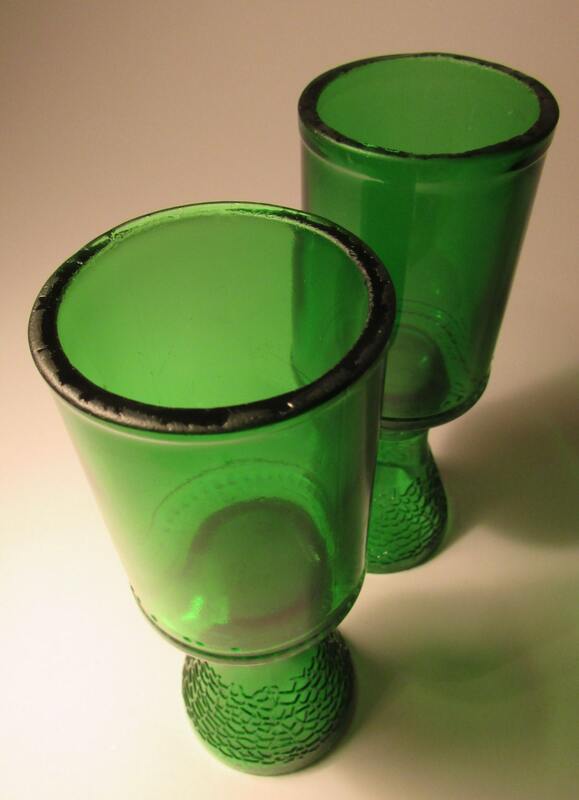 The glass is pleasingly thick, so are quite sturdy.